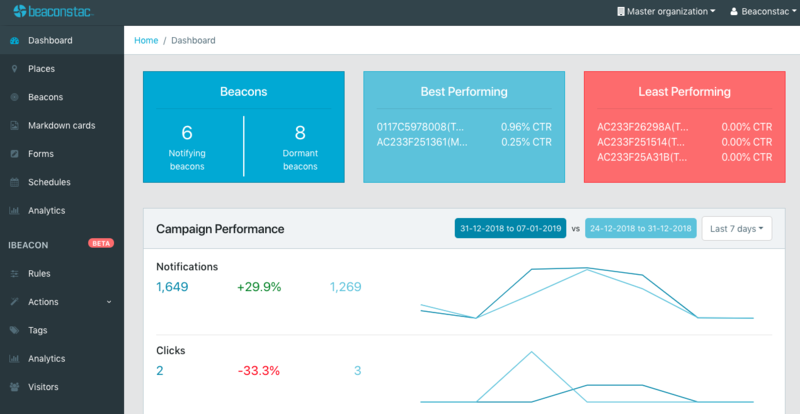 Retargeting works for all beacon, NFC tags and QR code campaigns. 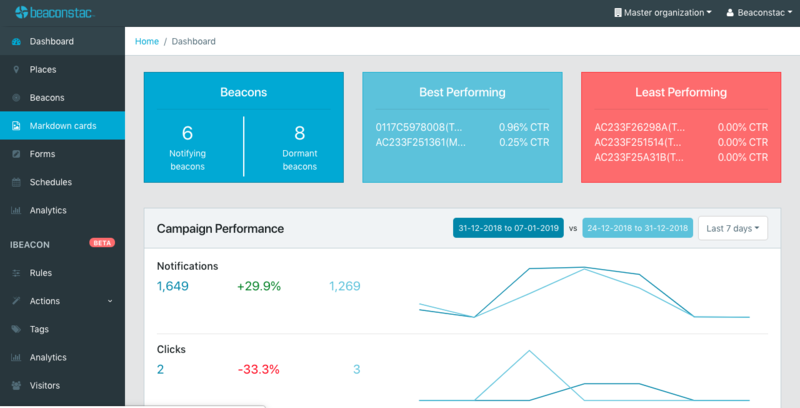 You can re-target your in-store traffic on Google with Beaconstac's Google Conversion ID integration. Customers that open a markdown card will be tracked by Google and consequently you can show them ads that you are running currently on Google or use the audience list for a campaign in the future. Learn more about remarketing here. Note: If you haven't created a Google Ad, then create one so that you can see the Google Ads tag. Step 7: A pop-up window will open that will contain your Google Conversion ID. Copy it. 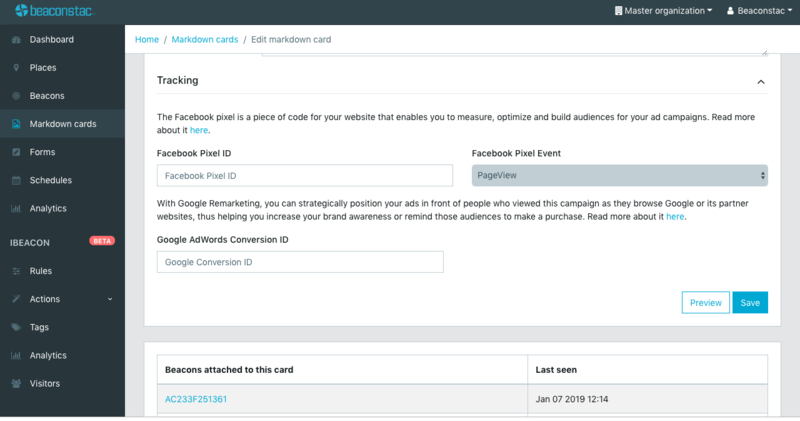 Step 9: Click on Markdown cards and open the Markdown card you wish to add the Google retargeting to. Now, you're all set to start retargeting your in-store traffic online on Google. 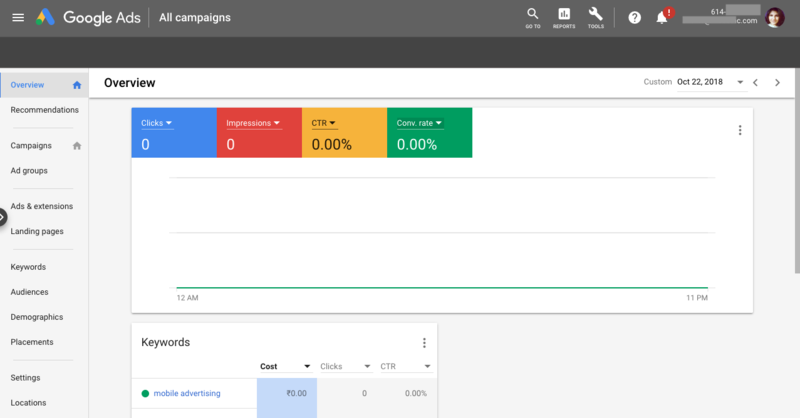 Alternatively, you can also set up an Audience list in the Audience Manager to run a Google Ads campaign specifically targeted at the consumers on the list. Step 3: Give your audience an Audience name and enter the 'nearbee.co' in the Visited Page section as seen in the image below. Now your audience list has been created. You can run a Google Ads campaign to market to only these consumers on the list.